Maria Echaveste is a Senior Fellow at the Center for American Progress. She is also co-founder of the Nueva Vista Group, a policy and legislative strategy and advocacy group working with non-profit and corporate clients. Prior to founding the Nueva Vista Group, she served as assistant to the president and deputy chief of staff for President Bill Clinton from May 1998 through January 2001. In this role, Echaveste had oversight responsibility for many of President Clinton’s domestic policy initiatives, including education, civil rights, immigration, and bankruptcy reform. Working with a team of core advisors, Echaveste developed communications, legislative, and public outreach strategies for the White House. She also coordinated federal disaster relief, for both foreign and domestic disasters, and focused on international issues relating to Latin America. Echaveste served as director of public liaison at the White House from February 1997 to May 1998, building an extensive network of relationships and contacts with diverse organizations and communities throughout the country. Prior to working in the White House, Echaveste served as the administrator of the U.S. Department of Labor’s Wage and Hour Division, from June 1993 to early 1997. 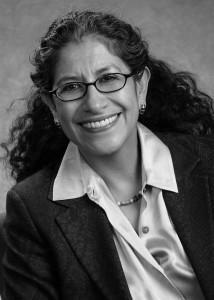 In that capacity, she deepened her knowledge of U.S. labor laws and issues relating to labor and management relations. Echaveste received a bachelor of arts in anthropology from Stanford University and her J.D. from the University of California at Berkeley.